How Can Anver Pest Control Solve Your Bed Bug Problem? Bed bugs may be great at hiding, but they aren’t indestructible. 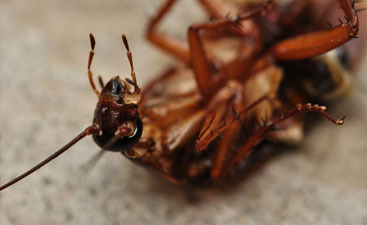 Here at Anver Pest Control we know their weaknesses and how to eliminate them once and for all through our heat treatment service. Everything has a heat tolerance point, and that point for bed bugs is 127 degrees Fahrenheit. Within just one hour, they will die at this temperature. Therefore, in just a single visit, these intruders can be eliminated. Distribute Heat: By using professional gas heaters, we safely introduce and re-circulate this high temperature throughout your home. Monitoring: Our professionals will constantly monitor your property during this treatment to ensure that the proper lethal temperatures have reached all bed bugs and their hideouts. Move Air: To confirm the appropriate temperatures have been distributed throughout your property, we use high output fans to effectively move the heated air as needed. 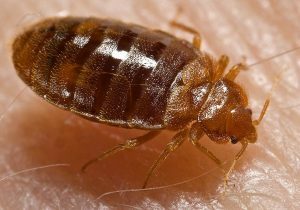 From the name, you can likely guess what a bed bug is. Bed bugs are small insects that live in your bed and surrounding areas. Why would a bug want to live in your bed you may wonder? Well the answer is simple, because you are its’ main source of nutrients and food. That’s right, bed bugs feed on human blood and other warm-blooded animals to survive. 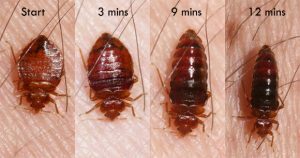 If you notice one bed bug, you likely have many bed bugs. A pregnant female bed bug can introduce over 300 new nymphs (baby bed bugs) to your home. If you don’t treat them quickly, these nymphs will grow to be adults and can produce over 1000 new eggs in just three months. So, as you can see, without the help of a professional, a single bed bug intruder in your home can develop into an infestation quickly. How Do These Intruders Feed? Bed bugs are attracted to body heat. So as soon as they make their way into your home, they will find you and set up camp where you like to rest and or relax. They are sneaky, on the move, and their bite is painless while they feed. Bed bugs likely go unnoticed until the problem has become a true infestation. Do You Suspect Bed Bugs On Your Property? Between feedings, bed bugs will hide in hidden dark areas close by. 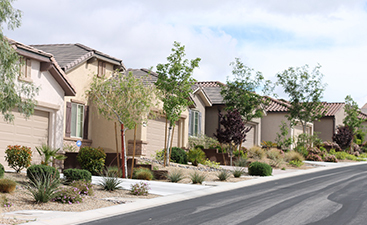 These areas likely include mattresses, box springs, bed framing, headboards, furniture, décor, and fixtures in the nearby area. Be mindful that bed bugs don’t just feed at night, so anywhere you like to relax, during any time of day, that is where they will likely congregate and hide. Here at Anver Pest Control we are confident in our bed bug removal process. 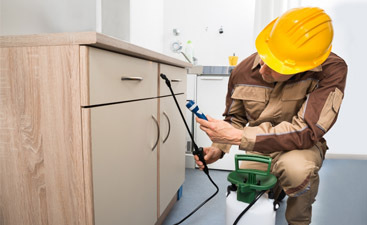 Geared with knowledge, experience, procedures backed by science, and state of the art equipment, Anver Pest Control will be able to identify your bed bug problem and organize the proper heat treatment solution to provide you with maximum pest free results.